DayTripsBarcelona.com has launched a new tour for 2014 to Girona, Figueres and the Dali Museum. 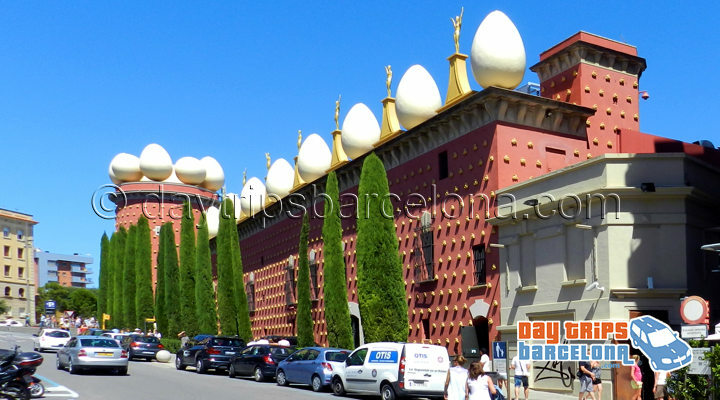 Enjoy a lovely day tour from Barcelona on a small group tour to north Catalonia to visit historic Girona, the City of Sieges, and to Figueres, to visit the world famous Dali museum of surrealist painter Salvador Dali. Optionally instead of visiting the Dali Museum in Figueres, private tour guests can follow in the footsteps of Dali and choose to visit one of the other two Dali museums in the “Dali triangle, which are the Dali Portlligat House-museum in Cadaqués or the Castell Gala Dalí de Púbol. Dali lived in his house in Port Lligat (or Port Ligat) from 1930 until 1982 and this is where he did his best work. Upon the death of his wife and muse Gala Dali, he moved to Castle Gala in Púbol, where she spent her final years. Púbol Castle is now also a house/museum. DayTripsBarcelona has been offering this tour for the past year on a private tour basis with top reviews from guests. As with all of our tours, our guide stays with guests all day. Our guides are safe and experienced drivers, are very friendly and service minded, have in depth knowledge of all destinations, speak excellent English and make sure that guests have an enjoyable and memorable day. View all our tours from Barcelona. This entry was posted in Day Tours Barcelona, What to do in Barcelona and tagged cadaques day tour, Castle Gala Pubol, Dali, Dali day trip, Dali museum figueres, Dali Port Ligat, figueres day tour, girona, Pubol Castle on January 11, 2014 by admin.